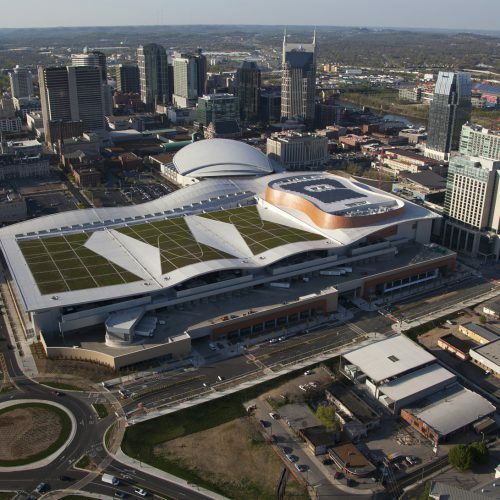 1100 Charlotte is the anchor building in a planned 30-acre, $750 million mixed-use development, Capitol View, in downtown Nashville. 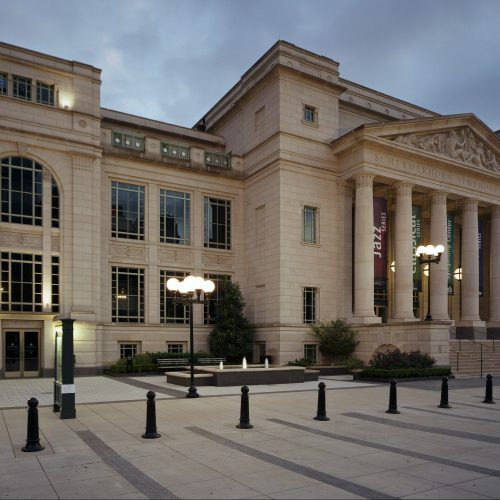 This signature project houses several subsidiaries for one of Nashville’s largest employers, HCA, and is located north of Charlotte Avenue and east of 11th Avenue North. 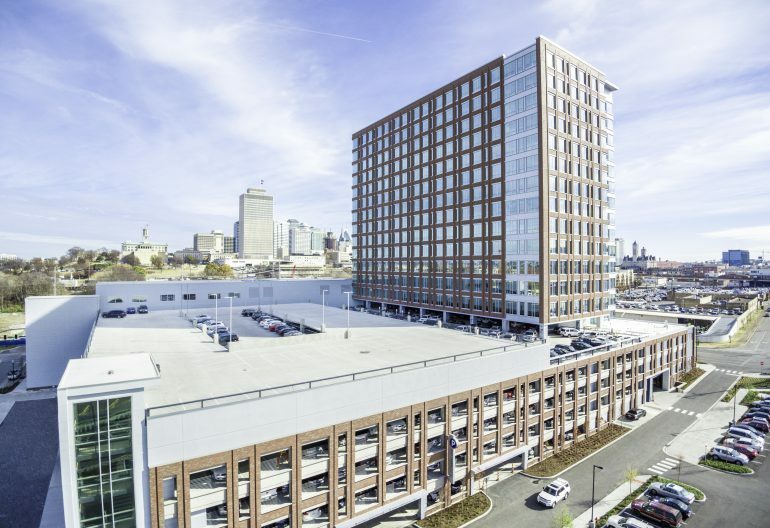 The project includes a 16-story commercial office building featuring ground level retail spaces, associated garage and street level parking, and two levels of below-grade parking encompassing about 190,000 square feet. TTL served as environmental and geotechnical consultant to the developer, Boyle Investments, and the owner, HCA, working in collaboration with members of the design and construction teams to identify early concerns and develop solutions for challenges discovered during construction to maintain a safe working environment for the construction teams and future building occupants. TTL performed preliminary and design phase geotechnical explorations, geotechnical consultation during design and construction, follow-up construction monitoring and observations during mass grading and foundation installations, as well as pre- and post-construction environmental consultation. 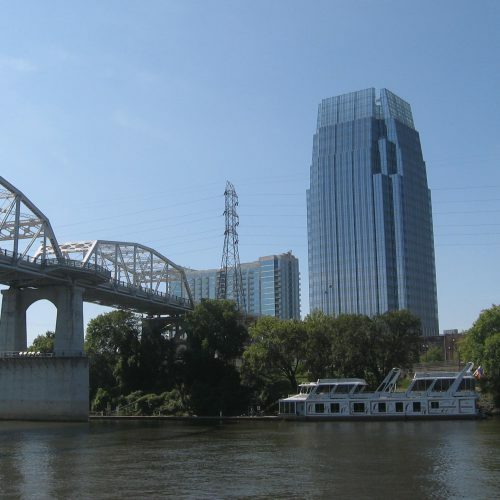 This glass and brick tower is a signature project anchoring the Capital View development and is visible from one of Nashville’s most travelled corridors and the State Capitol. Ultimately, the project was completed on-time and within the planned budget. 1100 Charlotte opened as scheduled on October 1, 2016 and is targeting LEED Silver. 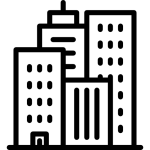 The Pinnacle at Symphony Place is a one million-square-foot, 29-story office tower, with office, retail and underground parking garage. TTL’s services included environmental, geotechnical, and construction materials testing. A Phase I Environmental Site Assessment was also conducted at the site. This LEED Gold Certified building provides Class A office lease space and associated retail space….